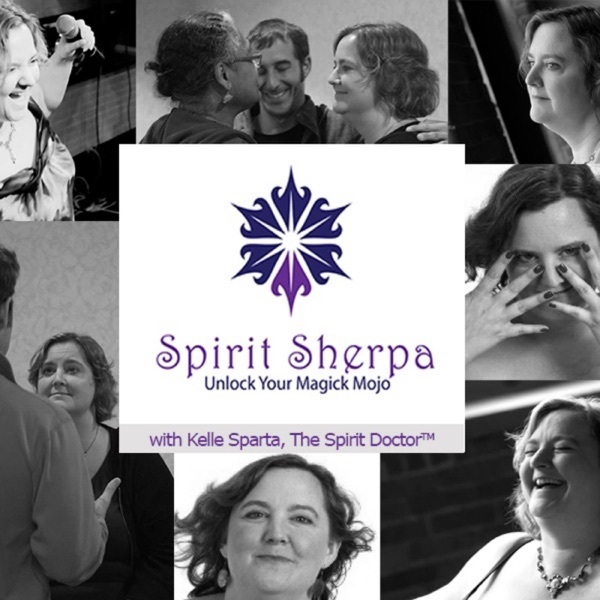 Discover Spirit Sherpa How Do I Evolve? What Are The Stages of Spiritiual Evolution? In this episode, Kelle gives an overview of the stages of personal growth from the time that a personal becomes aware of the universe around them. Her description of each stage talks about how a person feels during that stage and what the activities are take place during each stage using some of her own personal stories as examples. 4) Retreat for Personal Practice/Study – Releasing “Being Right”– “No, I’m not teaching anyone right now – I’m doing my own research.” In this phase, we are asked to look into our shadow selves and begin the work of clearing out issues. 5) Surrender To The Universe/Learning To BE – Releasing Control – Where you look at the universe in response to the bizarre, illogical, dare I say crazy thing it has just asked you to do and say “You want me to do WHAT??! ?” And then you go and do it anyway. 7) Awareness and Reflection – Letting Go of Your Story of Who You Are – Beginning to see yourself as you really are – not as you hope/fear/desire to be. Includes asking for reflections from others. 8) Stripping Down – Letting Go of Fear-Based Responses That Hide Your True Self – Identifying and removing masks, coping mechanisms, and judgment-based patterns to find the real you underneath it all. Also stripping away all positive labels and layered-on positive assessments of self. 9) Self-Acceptance – Letting Go of Judgment of Self – This is where you learn to step into your power and trust yourself with that power. 10) Self-Love – Stillness and Peace – Letting Go of The Need To Be Different Than You Are – Developing true love and compassion for the self. Embrace a willingness to be vulnerable.